MatlabBGL 3.0 was only released as a beta test. Version 4.0 is a full release with quite a few new features. In MatlabBGL 3.0, reweighted graphs were a pain to use. Now they are simple! We combine a structural matrix with a weight matrix. As(i,j)=1 if there is an edge between vertex i and j and A(i,j)=wij where wij is the weight of the edge between i and j. Note that As is given as the graph in the following call, not A! d(3) % distance from vertex 1 to vertex 3 should be just 1! Sometimes, it's really nice to see a picture of your graph. The BGL implements a few graph layout algorithms and so these are now in MatlabBGL 4.0! The Boost Graph Library received a new suite of planar graph algorithms. These are now in MatlabBGL too. 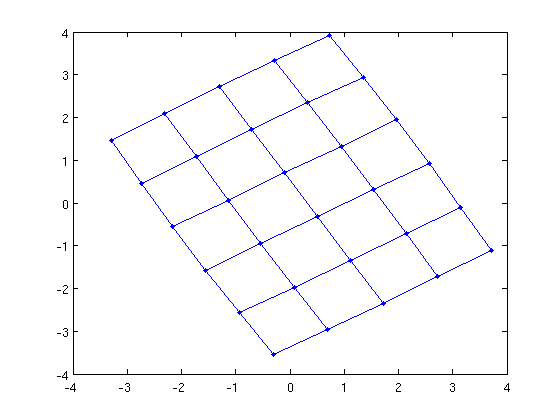 A grid in the xy plane is a planar graph. Recall that K_5 (the clique on 5 vertices) is not a planar graph. Let's see what happens. 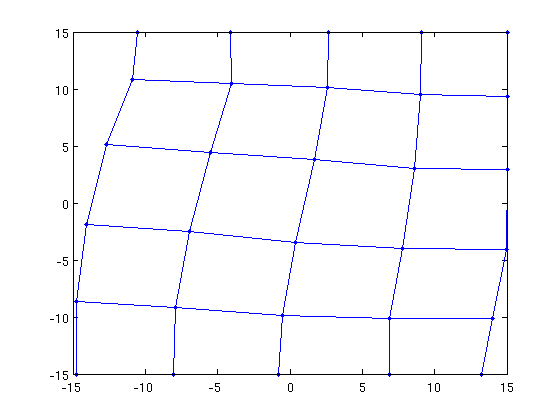 gplot(G,X,'.-'); % it looks a little different! 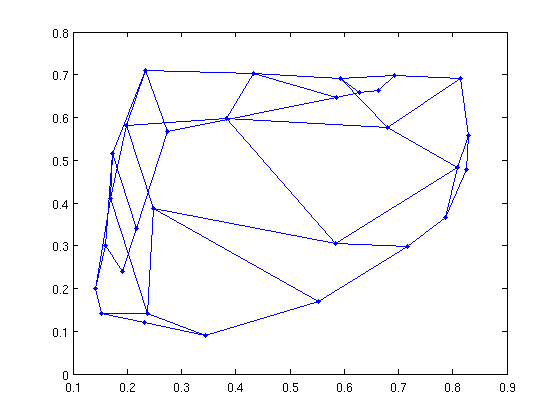 We'll look at spanning trees on the clique graph with 5 vertices. Using Prim's algorithm, the spanning tree we get depends on the root. 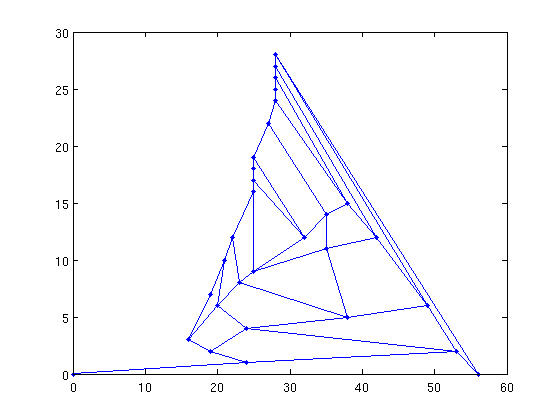 We always get a star graph rooted at the vertex we pick as the root.